Here is the new approach. 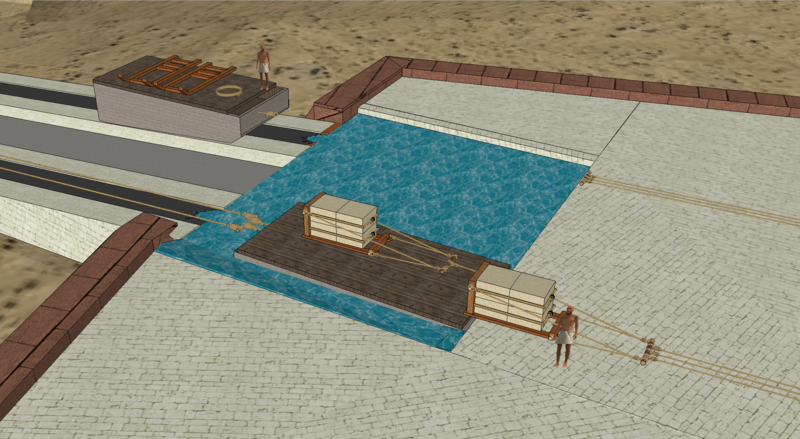 The barge carrying stones is pulled up into a pool with a back stop. The barge is unattached from the tow line, and now pushed sideways, over to the tow line progressing downward. It is reattached, and the water filling operation begins. The stones on a sled, are pulled across and through the work shop (Saw Palace) and onward until reaching the top of the Pyramid.